While selecting a plant of your choice, make sure that the surroundings are suitable for the plant to germinate. Providing too much sunlight to a shade thriving plant could result in burning of leaves and ultimately death. Similarly keeping a plant under shade for a light demanding plant would result in unwanted. Hence it is highly advisable to select an appropriate plant according to the condition. The second down the order is the size of the plant at the time of selection. Choose a plant that is small and is in its pre-stage of development rather than a big colorful potted plant. The chance of growth is better in small plants as compared to later. One can place it in plastic pots for plants themselves. A plant which is bushy and young with almost no to minimum flowers in it is likely to bloom better than rest. With so much technological advancement achieved in this modern era, buying an online planter isn't hard anymore. Hence it is best to purchase plastic pots after selection of the rightful plant. The two most essential requirements for Photosynthesis in plants are sunlight and water. 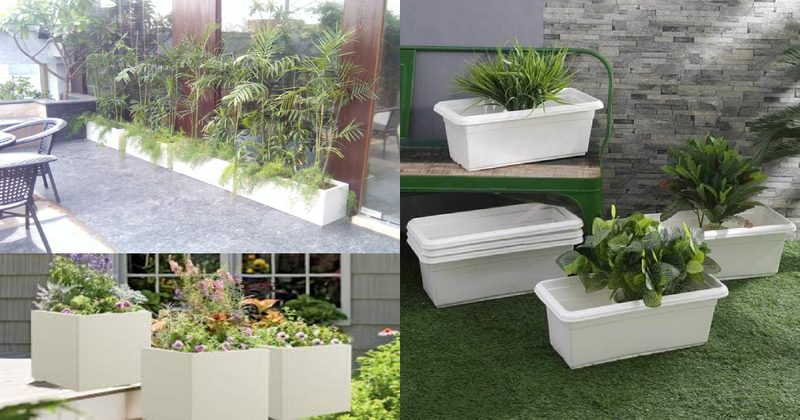 Since summer in India is long and hot, watering plants regularly helps the plant to grow. Use of fertilizers is useful in the process, acting as a catalyst for plants. While watering the plants one needs to avoid excess water use similarly, a deficit is harmful. After providing the plant with sun and water, the next point to keep in mind is the removal of dry leaves and dead flowers. One needs to ensure that the plant in the plastic flower pot has room for new flowers. Plucking the excess and unwanted head promotes blooming. Mulching is a scientific term for covering the soil with a mulch (a thin layered material) to avoid the loam from excess heat. This technique is useful in keeping the temperature in the desired state. Use of this in summer will ensure a better yield for plants. Plants, like any human beings, need food and water for daily activities. Providing them with a reasonable amount of these materials is vital. Make sure that the pot has plenty of soil for its functioning. Don't water plants every day but when needed.